Below is a list of featured properties in or near to Julian's Bower. Featured properties may include - Picturesque location or views. Coastal location or views. Historic property. Boutique property, or some other feature that we think our members would like. See individual listing for type of feature for each property. Offering free WiFi and a terrace, Yorkshire Holiday Homes is set in York, 200 metres from York Minster. 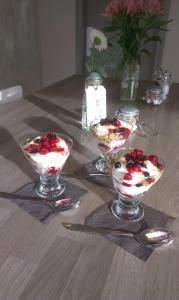 Bettys Cafe Tea Rooms is 100 metres from the p.. Featuring free WiFi, The Manor Resort offers accommodation in Laceby. The accommodation boasts a hot tub. Lincoln is 42 km away. The accommodation is.. Located in Wilberfoss, this holiday home is set 15 km from York. The unit is 48 km from Leeds. The kitchen is equipped with an oven and a toaster. Th.. 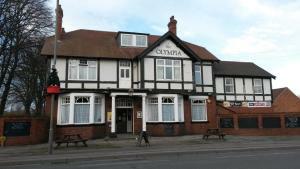 Located in Selby, 19 km from York, Olympia Hotel features free WiFi access and free private parking. Guests can enjoy the on-site bar. A flat-screen .. 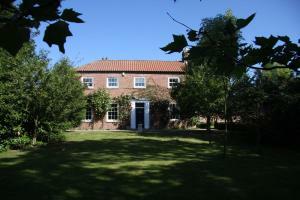 Located in Bubwith, this holiday home is set 19 km from York. 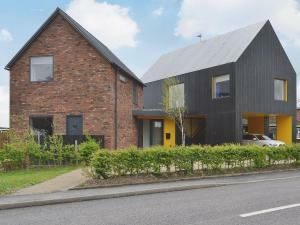 The property is 41 km from Leeds and features views of the city. The kitchen has an ove.. 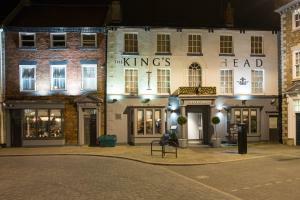 Featuring free WiFi throughout the property, The King's Head offers accommodation in Beverley, 45 km from York. Guests can enjoy the on-site bar. Free..
Set in Wilberfoss, 11 km from York, Kexby House features free WiFi access and free private parking. The rooms include a flat-screen TV. 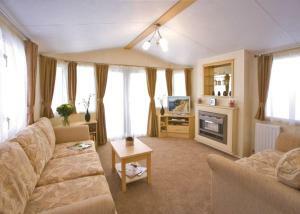 Some rooms fe..
Paradise Lakeside Lodges is set in Wheldrake, 14 km from York. Leeds is 43 km away. 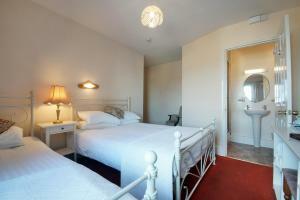 The accommodation is equipped with a dining area and seating area.. Featuring free WiFi, Dacre Lakeside Park offers accommodation in Brandesburton. The accommodation features a hot tub. Scarborough is 42 km from the pr..
Norton House is a holiday home set in Hornsea, 44 km from Scarborough. The unit is 22 km from Kingston upon Hull. An oven, a toaster and a refrigerat.. 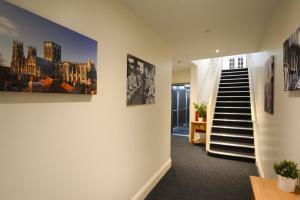 Featuring free WiFi throughout the property, Victorian York Apartment is located in York, 600 metres from York Minster. Bettys Cafe Tea Rooms is 900 m.. 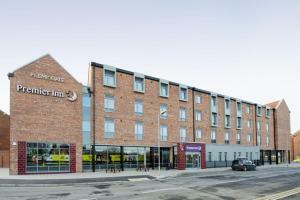 Situated just a 4-minute walk to Beverley Minster, Premier Inn Beverley Town Centre features an onsite bar and restaurant, a 24-hour front desk and ai..
Neuhaus offers pet-friendly accommodation in Epworth, 46 km from Sheffield. The unit is 37 km from Lincoln. There is a dining area and a kitchen. The.. The Cavalier is located in York, 400 metres from York Minster and 700 metres from Bettys Cafe Tea Rooms. Every room is fitted with a TV. For your com..
Weir Country Park is situated in Holtby, 12 km from York. Leeds is 47 km away. The accommodation comes with a TV. There is a seating and/or dining ar.. 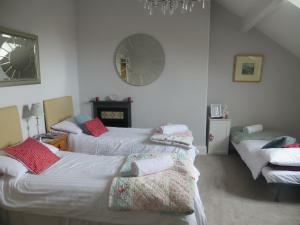 Shell Seekers Cottage offers pet-friendly accommodation in Hornsea, 44 km from Scarborough. 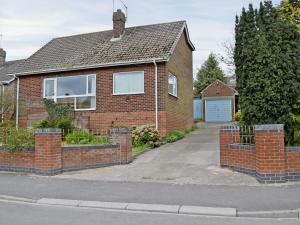 The property is 23 km from Kingston upon Hull and features..
West View offers accommodation in Hornsea. All rooms come with a TV. You will find a kettle in the room. Extras include free toiletries and a hair dr..
Park View offers pet-friendly accommodation in Hornsea, 44 km from Scarborough. The property is 22 km from Kingston upon Hull and features views of th.. Featuring free WiFi, Heidi's Bed & Breakfast is located in York, 1.5 km from York Minster. A flat-screen TV and DVD player, as well as a CD player ar..